The Sono is a design concept for a noise-canceling device that sticks to your window. If made into real product it could be a very modern and unobtrusive way to address the issue of noise pollution invading the peace and quiet of your home. 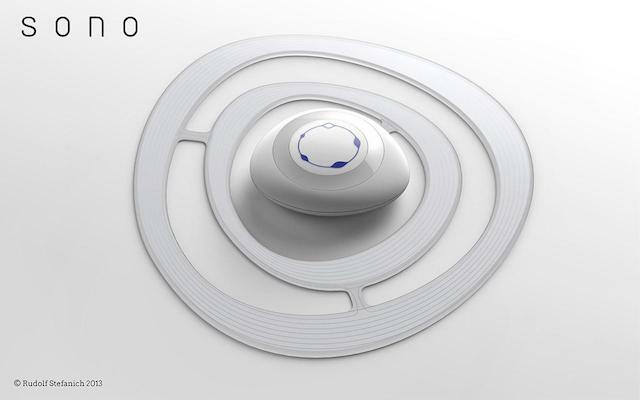 Sono was a submission for the 2012 James Dyson Award. “Sono” transforms windows into an active noise canceling system that allows to eliminate noise or filter that would otherwise pass through the window. With concentric broadband antennas, the device gains additional energy that it gains from sources other wireless signals and electrical. 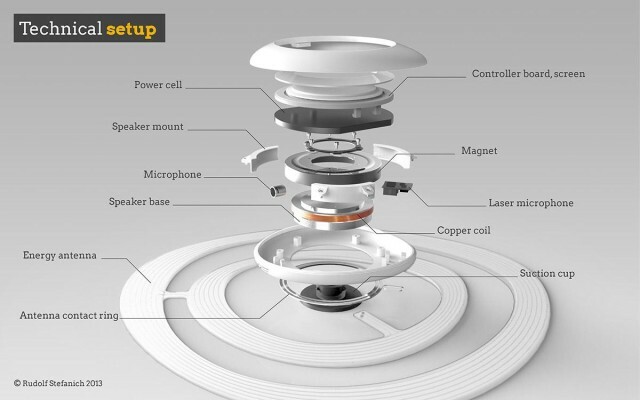 This causes the device not only provides a more comfortable room acoustics but also reduces the electric smog.